HOLY FAMILY WEEK EDITION (holfam16.htm) featured on The DailyCatholic, a Traditional Catholic publication dedicated to perpetuating the One True Faith and preserving the Traditional Latin Mass in this time of the Great Apostasy by upholding the sedevacantist syllogism in order to Save All Necessary Catholic Traditions in the United States (SANCTUS) and preserve the Truths and Traditions of the Church founded by Jesus Christ upon the Rock of Peter. Yes, we're back with weekly editions. Though we are cash strapped, we received enough to keep publishing at least for now. We thank those who have donated, and ask for those who have not offered to help, if you could click the box to the right and find it in your hearts to give from your heart. Every little bit helps and our funds are severely low. 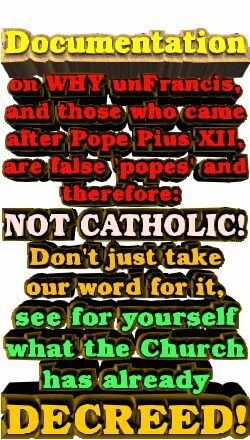 Because there are so many souls to be saved, this apostolate continues for the 27th year and 20 years online in order to inform the faithful of what true Catholicism is and why all must flee the false church of Vatican 2 and beware of the New World Order - Novus Ordo Seculorum. 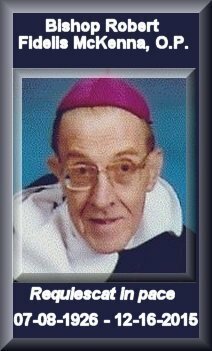 For those who are unaware of the passing of His Excellency Bishop Robert Fidelis McKenna, O.P. a month ago, we have all lost a true pioneer of the traditional movement. He was the last true Dominican bishop. 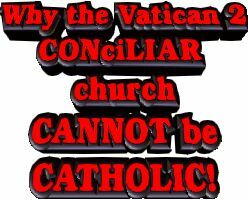 That is the saddest commentary on the tragic effects of Vatican 2 which he fought with all his might and refused to compromise one iota. 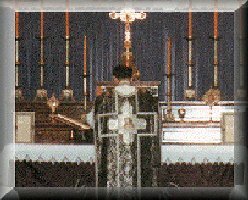 Margaret Omlor was able to curry enough donations to cover the Thirty Day Gregorian Masses for the repose of his soul and to rush him into everlasting bliss before the Beatific Vision. 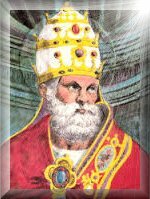 For more on this giant in seeking to save souls from the heresies of the CONciLIAR church, see our tribute when he was enshrined in the Tower of Trent Hall of Honor for Bishop McKenna, O.P. 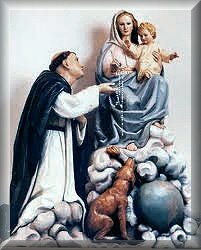 Like his founder St. Dominic, the good bishop took up the charge to fight heresy wherever he saw it while ordaining priests and consecrating bishops to provide the true Sacraments to willing souls who realized that Modernist Rome is not Catholic. 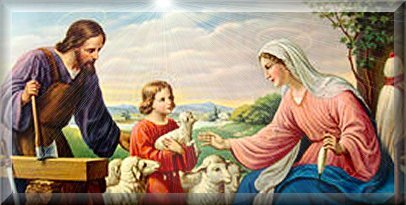 Hopefully, this Holy Family Week edition will help as we focus on striving to be holy while being in the world, but not of it. In this age of 24-7 technology, it seems most of us find excuses for not having enough time to devote to prayer. 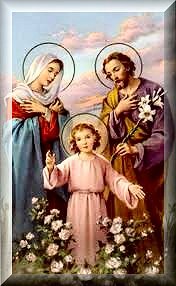 One of the best barometers is to gage what Jesus, Mary and Joseph would watch, text, talk, snap, listen to, or tweet with you. If they would be embarrassed in any way, then you should be as well. Yes, we must utilize these media tools for good, but we must also take care that they don't consume us. Twitter can be addictive and I have to take great care that I don't spend as much time as I have on it, even though it is a wonderful vehicle for converting souls by getting the truth out there. Moderation is the watchword, especially with so much political vitriol being spewed. 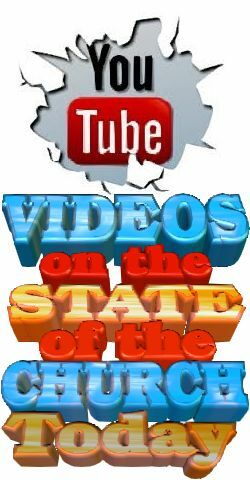 After publishing a monthly tabloid newspaper since 1990, in 1996 we launched out on the internet - then called the world wide web. It akin to learning Greek in formatting html, but we persevered and this year we mark twenty years online with this publication, which we proudly can say we have always followed St. Paul's counsel in 2 Thessalonians 2: 14 in standing fast, and holding the traditions which we have learned by always providing the infrangible truths and traditions of holy Mother Church. 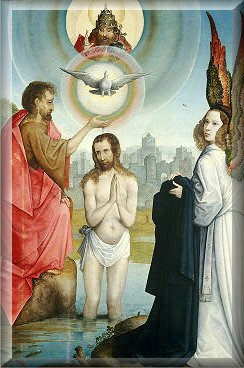 This week we also celebrate the Baptism of Our Lord on Wednesday, Octave Day of the Epiphany when St. John the Baptist, in all humility, baptized Christ in the Jordan for Jesus was manifesting His human nature though John knew of His divine nature. 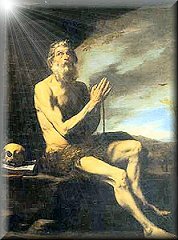 Of course, neither Our Lord, Mary, Joseph, the Baptist, St. Hilary of Poitiers, St. Paul the Hermit or the holy martyr Pope St. Marcellus I and all the saints ever publicized that they were humble. Grace makes one humble by realizing one can do nothing without God. 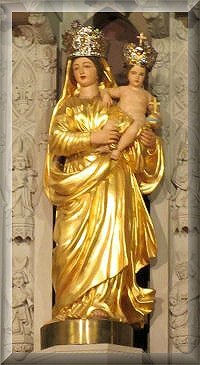 There's a way to offset the evil fomented by the CONciLIAR church and the world it embraces by imploring the help of Our Lady as we complete the Nine-Day Novena to Our Lady of Prompt Succor this week, capping it with a fascinating account by Dr. Marian Therese Horvat on Friday. 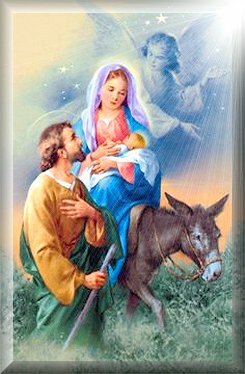 Let us all strive to emulate the Holy Family and this world will be a better place as we work to end up in a far, far better Place where we will find forever the peace and serenity the Holy Family emulates. 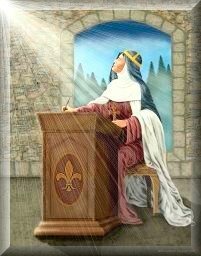 The Prophesies and Revelations to St. Bridget of Sweden offer us an insight into the mind of God and what we need to do to gain eternal life as these words support and fortify divine revelation in keeping man on the straight and narrow. Continuing the analogy of the winged insect, the Mother of God's words to her daughter paint a different picture than the butterfly but rather a much more disturbing flying insect as she equates another such bishop allegorically as a gadfly, his wordy eloquence as flying, his two concerns as two wings, his flattery of the world as a sting; and about the Virgin's amazement at the life of these two bishops; also, about preachers. This is the sad essence of chapter fifteen of Book Three, A Bishop as a Gadfly. 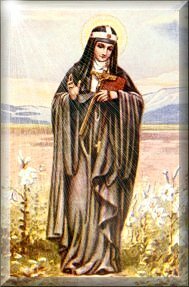 Through these revelations to St. Bridget of Sweden we see clearer than ever the mind of God and what we need to do to not only assure our own salvation, but win souls for Him in sharing Heaven. 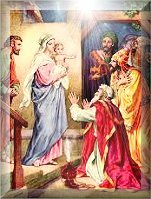 In the sixteenth chapter of Book Three, the Blessed Mother speaks to her daughter of the opportune solution to the difficulties meeting the bishop on the narrow path. In this chapter the Son of God provides an explanation to the bride St. Bridget that the damnation of souls does not please God; He also reveals the conversation between two bishops about the astonishing questions of the younger bishop to the older bishop, and about the answers of the older bishop to the younger one which are not encouraging for his eternal welfare. All should take heed as we can see in Book 3, Chapter 16: Woe to the Worldly Bishop. 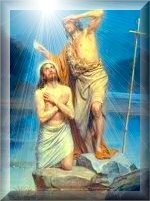 assure our own salvation, but win souls for Him in sharing Heaven. In the Seventeenth Chapter of Book Three, This chapter deals with the Blessed Virgin Mary's words to her daughter St. Bridget of Sweden, which highlight and praise the life and order of St. Dominic, and illustrate how he turned to the Virgin at the hour of his death. She also conveys how, in modern times, few of his friars live by the sign of Christ's passion given them by Dominic, but many of them live by the mark of incision given them by the devil as we see in Live by the rule or rue it. This is the first Doctor of the Church in the calendar year. 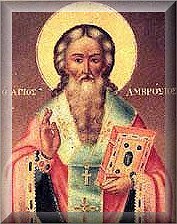 This holy Bishop and Doctor of the Church Saint Hilary of Poitiers was another from the fourth century who, like the three great Doctors who preceded him (St. Athanasius, St. Ephrem and St. Cyril of Jerusalem), stood by the axiom: One cannot serve God by employing the philosophy that one should 'go along to get along.' That false belief is, sadly, something so prevalent in today's society of lemmings. 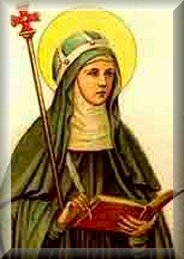 Unlike the one whose name sounds so similar, there are no similarities to the character of St. Hilary with Hillary Clinton. The former is a saint, the latter...well, you fill in the blanks, but keep it clean. Back to the true Hilary. He was both greatly persecuted by the Arians and ostracized by many within the Church because of false information. Hmm, sound familiar? Every Traditional Catholic can relate to that. This first Doctor, of what is today France - eldest Daughter of the Church - was known for his great labors in the fields of God from Gaul to Ilyria. Born the same year as his colleague Doctor and Bishop of Jerusalem St. Cyril, he labored tirelessly for the True Faith and is appropriately known as the Laborer for God. In this chapter the Blessed Virgin Mary's words to her daughter refer to how friars would now listen and in fact do listen sooner to the devil's voice than to that of their father Dominic, about how few of them follow in his footsteps now, about how those seeking the episcopate for worldly honor and for their own comfort and freedom do not belong to the rule of St. Dominic, about the terrible condemnation of such men, and about the condemnation experienced for one such episcopate, who discovered this too late. Our Lady also offers up the example of St. Augustine as we see in Book 3, Chapter 18: The Rule Rules. 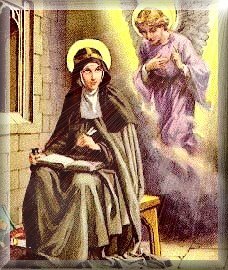 In this chapter we see St. Bridget of Sweden's reply to Jesus Christ Himself on how she is afflicted by various useless thoughts, and how she cannot get rid of them. Our Lord's reply to the bride about why God permits this, and illustrates the usefulness of such thoughts and fears with respect to her reward. These words are encouraging though He places the caveat that this is provided she detests the thoughts and has a prudent fear of God, and how she - and we - should never make light of venial sin lest it lead to mortal sin. 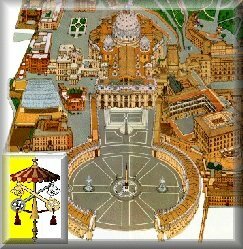 Our Lord also clarifies about the two bishops that have been referred to throughout the previous chapters which should give us all pause to Think about your thoughts. In this short chapter the Blessed Mother of God speaks to the daughter Saint Bridget of Sweden on how the talent represents the gifts of the Holy Ghost, and commends the holy founder of the Benedictines Saint Benedict who added to the gifts of the Holy Ghost given to him and was able to shut out the fire of the devil in his soul. 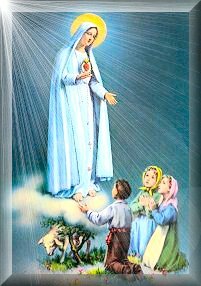 Holy Mary also explains the difference between the spirits that enter the human soul: the Holy Spirit or the demonic spirit and how the latter can be so devastating and burn souls unless the soul has the asbestos grace of the Holy Ghost. This is the essence of the Twentieth chapter of Book Three, Fireproofing the Soul.